Most mainstream intellectuals are just ignorant. They don’t even know that the decline and fall of the Greco-Roman World was caused by miscegenation and blood mixing. If I am allowed to be frank let me say that, like the other intellectuals, Alexander Dugin is sleeping in the matrix of political correctness. In another video he said something to the effect that the fact that Germany was defeated “proved” that a racialist view of history was wrong (something as silly as saying that the fact that Giorndano Bruno was tried by the Inquisition and burned at the stake “proved” that the heliocentric Copernican view was wrong). Don’t take intellectuals or even philosophers seriously. No single so-called great philosopher of the Western tradition that I know figured out that “all the great events of history have a racial basis,” not even the nationalist Hegel. Fortunately, today Greg is finally accepting critical comments about this intellectual charlatan, Dugin, in Counter-Currents’ most recent article. Know my golden rule before I decide whether or not I’ll spend precious time reading a heavy intellectual or a heavy philosopher: If he writes in opaque prose, forget it; he probably is a base rhetorician! “As the base rhetorician uses language to increase his own power, to produce converts to his own cause, and to create loyal followers of his own person—so the noble rhetorician uses language to wean men away from their inclination to depend on authority, to encourage them to think and speak clearly, and to teach them to be their own masters”, said Thomas Szasz in Anti-Freud, page 55, my emphasis. 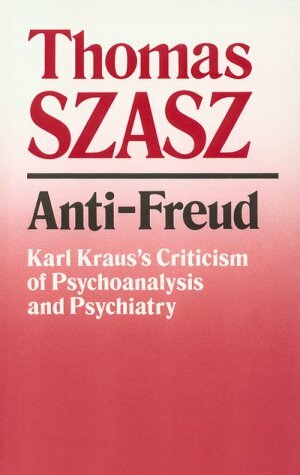 By the way, Anti-Freud is a treat! BE CAREFUL WHO YOU TRUST AND WHY!! THE SO-CALLED INTELLECTUAL WORLD OFTEN GETS IT WRONG!!!! Dugin is obviously an impostor. The ultimate point of all of his harangues is to try and convince people that the US is a totalitarian entity that controls the world and that the whole world should get together in order to smash it. He debated with Brazilian Catholic professor of philosophy Olavo de Carvalho (himself another idiot, but, let’s be fair, far better intellectually prepared) two years ago and you can plainly see that an obssession about the US and a petty hate against it are the only things that fill his mind (see the debate: here). On a side note: have you ever heard of German Egyptologist Jan Assman? I first heard of him through Steve Sailer: (link). The article Sailer mentions on this post is this: (link). Take a look at these links. I’m fascinated with this guy’s insights on the Jewish pathological religious worldview and machinations in the Ancient World and the terrible consequences of their partial invention of Monotheism throughout the ages, having authored 3 books on the subject: The The Price of Monotheism, Of Gods and Gods and Moses the Egyptian. I hope to be able to read these books soon. I guess Rosenberg is blacklisted from the great philosopher list? I mean, you’re not going to learn about his theories in school. I honestly don’t think Dugin is “sleeping” anywhere, I think he’s talking out both sides of his mouth and he damn well knows it. That’s the reason for the obfuscation. Rome had a mulatto Emperor, for a short time. But didn’t most of this race-mixing occur outside of Europe in North Africa and Asia Minor? That only explains the breakdown of the empire on the periphery. In Gorgias, the rhetorician Gorgias is asked to define rhetoric, but is unable to do so to Plato’s satisfaction. Socrates then describes rhetoric as a speech that either promotes or condemns a person or idea, whereas philosophy looks for answers. Another difference between a philosopher like Plato and rhetoric, as espoused by Gorgias, is that the philosopher is open to being proved wrong. The rhetorician, on the other hand, uses words as tools in order to gain power over the people. Plato believed that rhetoric has the power to shape human beliefs. Dugin is like most conservatives: he wants to feel he is fighting the process of degeneration. but only feel. He doesn’t really want to. It is intresting that white nationalists don’t want to give up hedonism, while he does, but don’t want to give up racial solidarity. He probably thinks the empowerment of China is good, that nuclear proliferation amongst anti-american asiatic countries is awesome. In fact, he likes any cause that is conservative. But Hitler was allied with Japan, so shouldn’t we do the same with some national socialist asian power to help us in the fight against dissipationism?